Is Failure the Only Reason Why Students Commit Suicide? 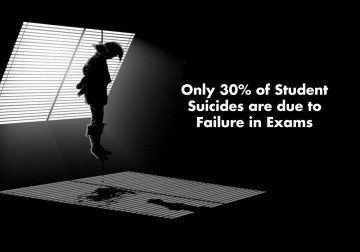 Every time we hear about a student committing suicide in India, we assume failure in some exam to be the cause. But, the recent suicide of 17-year-old Kriti despite scoring more than what is required to get her a seat in an IIT Institution, tells us a completely different story. According to the National Crime … Continue reading Is Failure the Only Reason Why Students Commit Suicide?